Grants are intended to assist members to attend meetings and other educational opportunities which, without the grant, they would not be able to do. Grant applications must be submitted on the official form. In the case of repeated applications the WVPA reserve the right to offer a reduced grant. Grants for attendance at WVPA meetings will only be paid personally to the recipient at the meeting. To mark the occasion, the Lecturer is presented with a certificate and an engraved commemorative award. All costs of attending the Congress at which the Lecture is given are met by the Houghton Trust. By an individual member of the WVPA. In either case, the nomination must be on the form available for download HERE. The Officers of the WVPA, after due consultation, will make a short-list of SIX candidates, which will then be forwarded to the Grants Subcommittee of the Houghton Trust, who will choose the Avian Pathology Lecturer. The Dr. Bart Rispens Research Award (BRRA) was established in 1973, in memory of the Dutch poultry veterinarian. The goal of the Dr. Bart Rispens Memorial Award Fund, an initiative of his former colleague Dr. Henk Maas, is to honour the great contribution of Dr. Rispens to the control of Marek's disease. 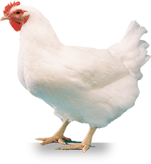 Marek's vaccine CVI988, which was developed as part of the research of Dr. Rispens, is successfully used to prevent Marek's disease in poultry all over the world. The vaccine had been made available to the vaccine industry free of charge only because of the attitude of Dr. Rispens towards commercialisation of research subsidised by the government. The Award will be given biennially to the first author of the best paper published in the WVPA journal Avian Pathology during the two calendar years preceding the WVPA Congress. The recipient of the Award is elected by the Dr. Bart Rispens Research Award Committee, which includes representatives of the Board of the WVPA, a representative of Avian Pathology, a representative of the corporate sponso,r MSD Animal Health, and four other appointed scientists. The Award consists of a medallion, a certificate and a monetary award. Further information about the Award can be obtained from the Secretary of the Award Committee, Prof. Dr. H. M. Hafez (hafez.mohamed@vetmed.fu-berlin.de). Previous winners of this award are listed below. This Award was launched in 2012 and is presented annually to a young (less than 35 years old) poultry veterinarian who is seen to be a credit to the profession, who is an ambassador and a communicator and who would be seen as a worthy winner by all sections of the poultry industry. The Award is judged by a panel of members of the WVPA and is led by the President of the WVPA. This panel shall have a broad base and be balanced in its composition. The Award is generously supported by Zoetis. The recipient of the Award receives $US5,000, which is to be used to attend scientific meetings in order to further develop their professional knowledge. The WVPA Young Veterinarian of the Year Award is presented at the WVPA’s biennial congress and at the WVPA Asia Meeting in the intervening years. Details on how to apply are notified to all national branches of WVPA, announced in the media and placed on the WVPA website. This Award was launched in 2015 and is awarded at each global WVPA Congress to a poultry veterinarian or avian health scientist for an outstanding contribution in the field of innovation in poultry vaccination. The Award is judged by a panel of representatives from WVPA and Boehringer Ingelheim and is chaired by the President of the WVPA. The recipient of the Award receives €5,000 to help fund his/her ongoing professional development or training as well as a suitable memento of the occasion. The WVPA-Boehringer Ingelheim Innovation in Vaccination Award is presented at the WVPA’s biannual global congress and in intervening years at the WVPA Asia Meeting. Details on how to apply are notified to all national branches of WVPA, announced in the media and placed on the WVPA website. This award was previously known as the WVPA-Merial Innovation in Vaccination Award.